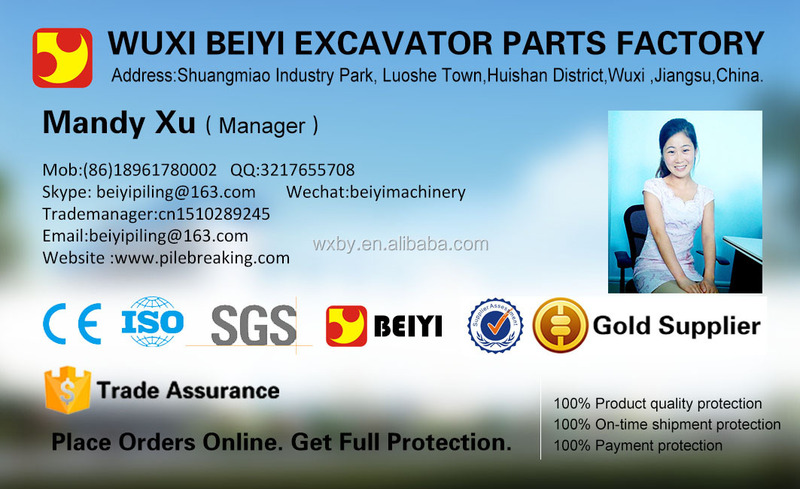 Hydraulic pulverizer is composed with body, hydraulic cylinder, movable jaw and fixed jaw. 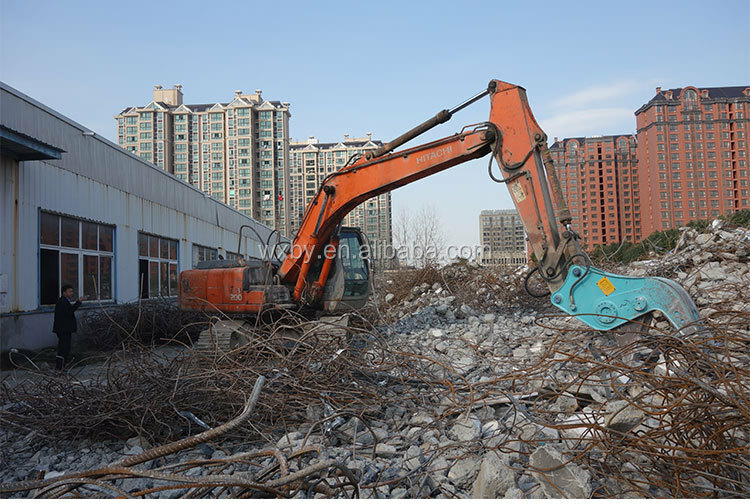 The external hydraulic system offer hydraulic pressure for the hydraulic cylinder to make the movable jaw and fixed jaw open and close to achieve the effect of crushing objects. We improved the structure according to the existing hydraulic concrete crushing forceps. 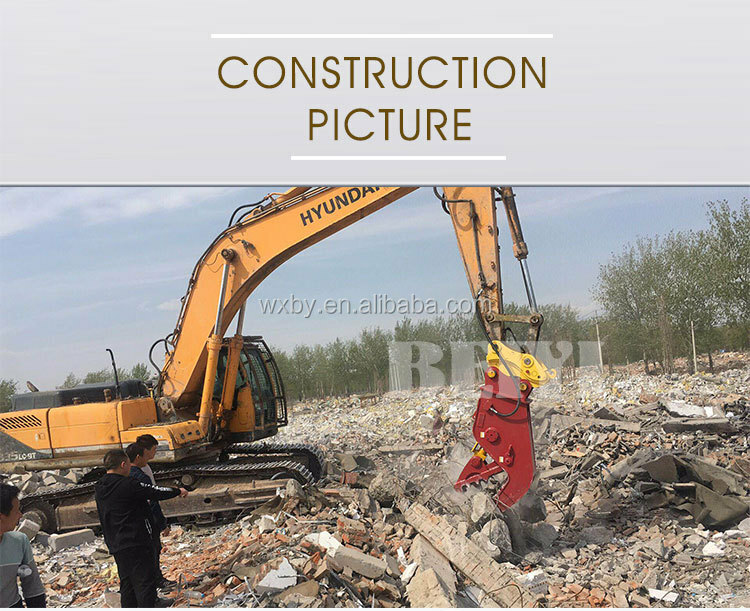 At the same time to improve construction efficiency,it can cut the rebar in the broken concreteconstruction, which solved the existing hydraulic pulverizer problem of can’t clearing away the rebar in the broken concrete construction and the technical problems of low construction efficiency. 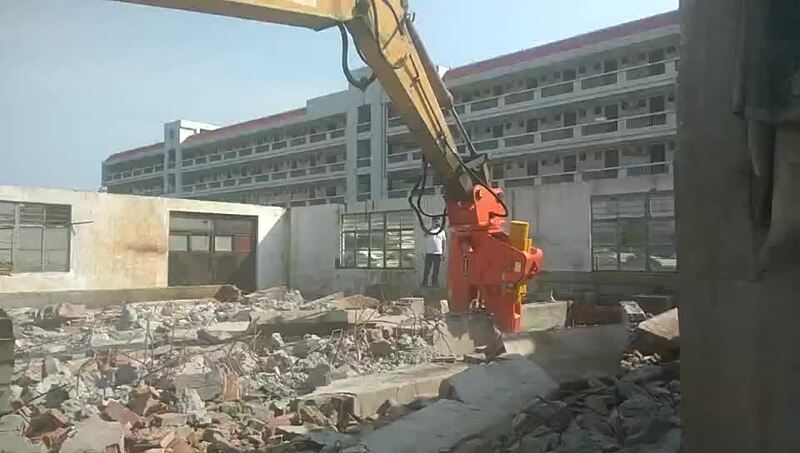 Large sawtooth, crushed completely, hydraulic steel cut, very sharp, reinforced concrete, separation recycling, high speed valve, large oil cylinder, easy and simple to handle, double efficiency, ultralow noise, minimum vibration, sturdy and durable, disassembling easy, super features, demolition of essential. 1.Work efficiency is two or three times than hydraulic breaker. 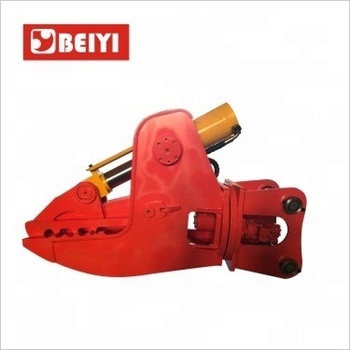 2.Crushing forceps can be excellent to complete a series of operations that is separating reinforcing steel from concrete block, bending and loading into the trucks, which obviously improved the working efficiency. 3.Fully mechanized work, safety and saving time. 1.Bite dense with small gap;easy operation. 2.Large opening design,working easily and conveniently. 3.Equipped with steel bar cutter,the crushing forceps can operate two work at the same time, crushing and cutting off exposed reinforced steel which making the crushing efficiency more higher. 1.Using Swedish high hardness of lightweight steel, solid and clinking. 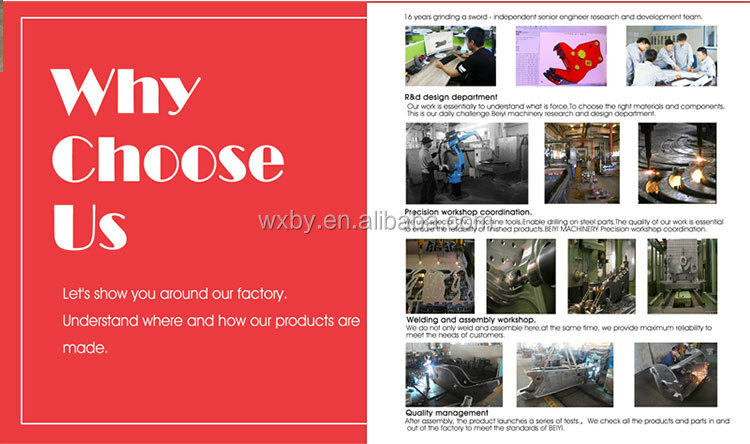 2.Fully understand the Chinese market use habits, strengthen focus on wear parts and structure with double life. 3.Jaw teeth are made in special shape to firmly fix the concrete blocks, wedging and crushing, in order to crushing quickly.Jaw teeth is very strong, with high wear resistance. 1.Disassembling easily, exclusive oil circuit design,not only double the oil cylinder speed but can be in common use of knapper, one machine with more task. 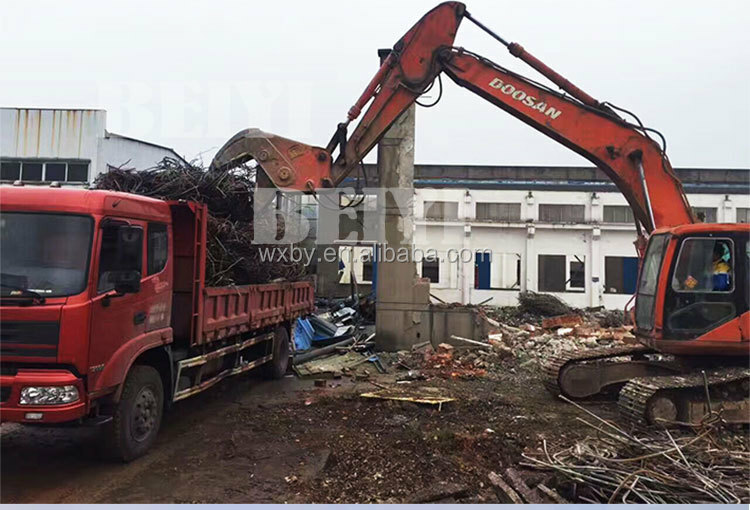 2.Low noise, no vibration, meet the requirements of environmental protection, which are Suitable for city and high-tech zone demolition project. 3.Hydraulic oil cylinder is equipped with a protective cover to obstruct the splash of concrete and steel debris. How to choose your need ? We offer professional technical supports and good after sale service for your orders. accept compliants clearly record and maintain it for further reference.